The Wise Law Firm is committed to providing high quality, affordable, and compassionate legal representation while upholding the utmost standards of integrity and excellence. 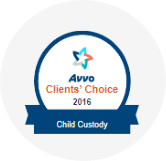 The Firm focuses on all areas of family law including: divorce, child custody, child support, visitation, modifications of previous court orders, alimony, mediation, name change, litigation, contempt actions, property settlement agreements, paternity and legitimation actions, and temporary protective orders (TPO). Family law matters can be contentious and are often emotional. 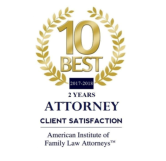 The Wise Law Firm endeavors to fully understand each client’s individual circumstances while helping the client remain calm and focused during the legal process. The Firm thoroughly investigates the facts of each case and carefully analyzes each issue to provide each client with the most accurate counsel to achieve the best possible outcome. The Wise Law Firm was founded on the concept of openly communicating with our clients to ensure that each client feels informed about the progression of their case. The Firm knows that communication and accessibility help alleviate some of the stress associated with domestic relations issues. Having successfully handled hundreds of cases from inception through completion, the Firm helps every client through each complicated step of their family law case. Conveniently located in Marietta, the Wise Law Firm serves families and individuals throughout the Metro Atlanta area, including matters in Cherokee, Cobb, DeKalb, Douglas, Forsyth, Fulton, Gwinnet, and Paulding.